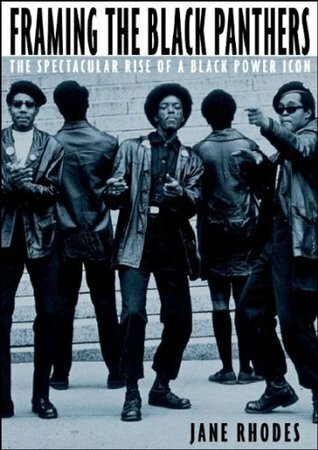 Synopsis: The Sixties may be over, but the Black Panthers—the ultimate symbol of black power, radical inspiration, and the excesses of the decade—live on. Books on the Panthers continue to be written, hip-hop artists continue to draw inspiration from them, and so many films are made about the Panthers that there is now an annual Black Panther film festival. In Framing the Black Panthers, cultural historian Jane Rhodes examines the extraordinary staying power of the Panthers in the American imagination by probing their relationship to the media. Rhodes argues that once the media and pop culture latched onto the small, militant group, the Panthers became adept at exploiting and manipulating this coverage—through pamphlets, buttons, posters, ubiquitous press appearances, and photo ops—pioneering a sophisticated version of mass media activism. Paradoxically, the news media participated in the government campaign to eradicate the Panthers while simultaneously elevating them to a celebrity status that remains long after their demise. Lucidly written and featuring many never-before-published photographs, Framing the Black Panthers is a breakthrough reconsideration of a fascinating phenomenon that is sure to receive wide attention. About the Author: Jane Rhodes is a professor of African American Studies at the University of Illinois at Chicago. She is the author of 'Mary Ann Shadd Cary: The Black Press and Protest in the Nineteenth Century'. Review: This made me realize just how woefully inadequate my education has been. The people in power get to write the history, and unfortunately that means a lot of things are left out of a public education. This should really be required reading in schools across the country. A great way to fight back against the propaganda being shoved down the throats of students in US public schools. I'm embarrassed by how little I knew of the rich history of what is still today such a strong influence in American history, culture, and politics.